Happy November! 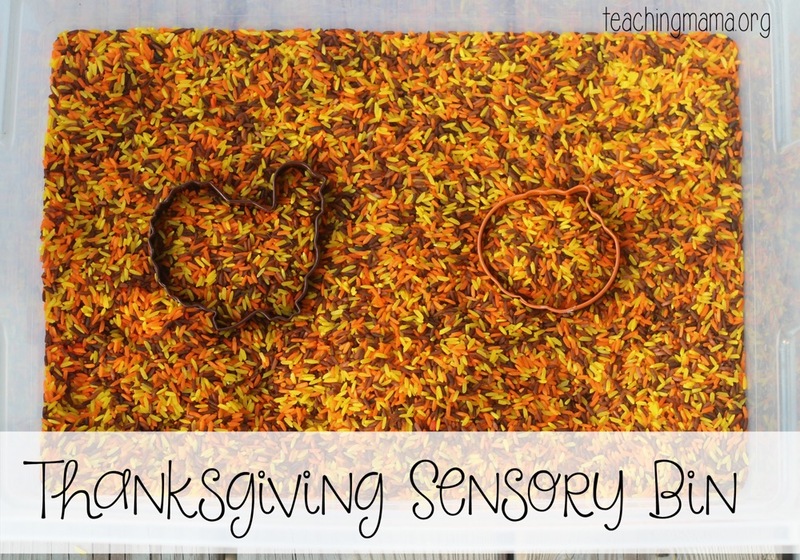 I can’t believe Thanksgiving will be here before we know it. 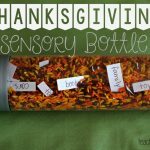 I like to create sensory bins each month for my kids to play with, so today I’m sharing with you our Thanksgiving sensory bin. 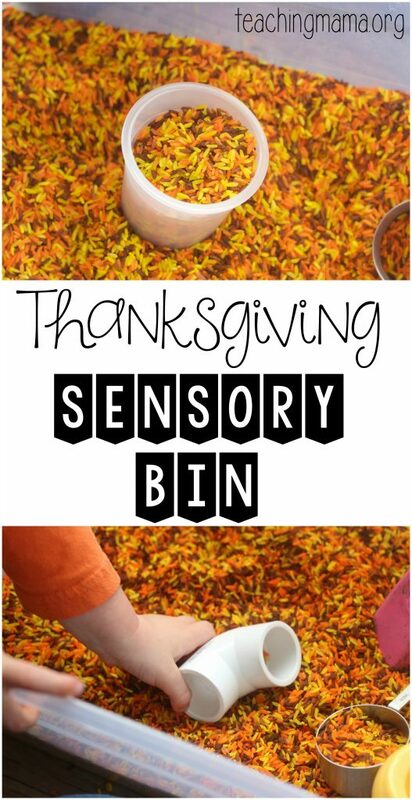 It’s very easy to make and you only need a few supplies. But trust me, your kids will play with it for hours! 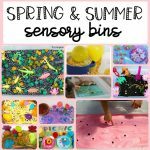 Sensory bins are a great way for children to use their senses to explore. 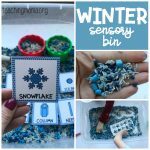 Most of the time sensory bins are used for the sense of touch, but you can also incorporate hearing and smelling into bins. 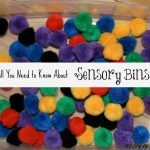 All children benefit from sensory bins, and it’s great to use these with children with sensory processing disorders. Start by pouring the white rice into a Ziploc bag. Add in some rubbing alcohol, just enough to coat the rice. (I usually add in 1-2 tablespoons.) Then squirt in food coloring. I like to use gel food coloring because the colors are vibrant. 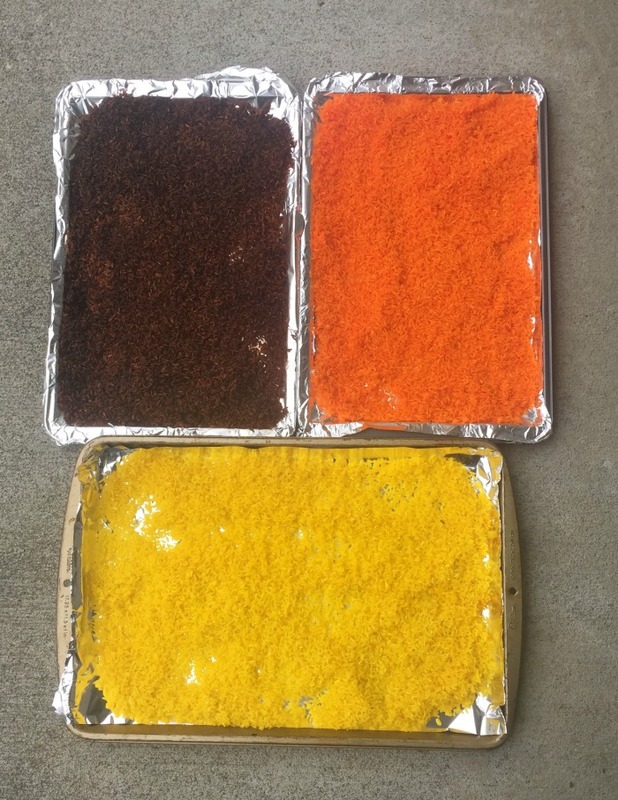 We used yellow, brown, and orange this time. Close the bag and shake! Then lay out the rice on a tray lined with either wax paper or tin foil. After the rice is dry (usually 20 minutes later), pour the rice into a bin. 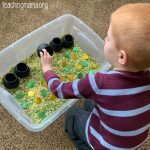 Add in some tools for kids to play with, such as scoopers, funnels, and cups. As you can see, my boys were ready to dig their hands into the rice! There’s something so lovely about putting your hands into the rice. It feels so great! 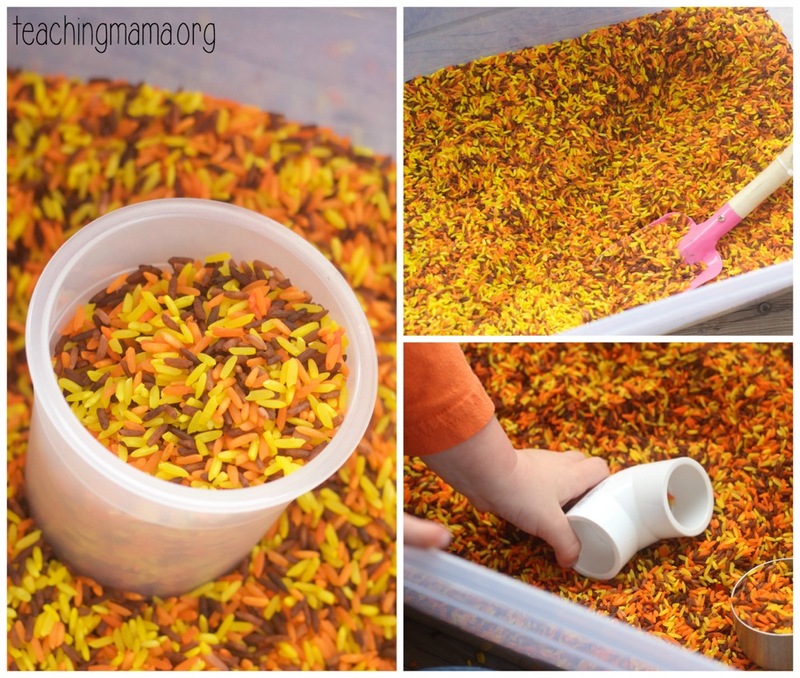 To make cleanup easier, play with the rice outside or place a cloth under the bin to gather the rice up afterwards. There’s no right way to play with this bin. 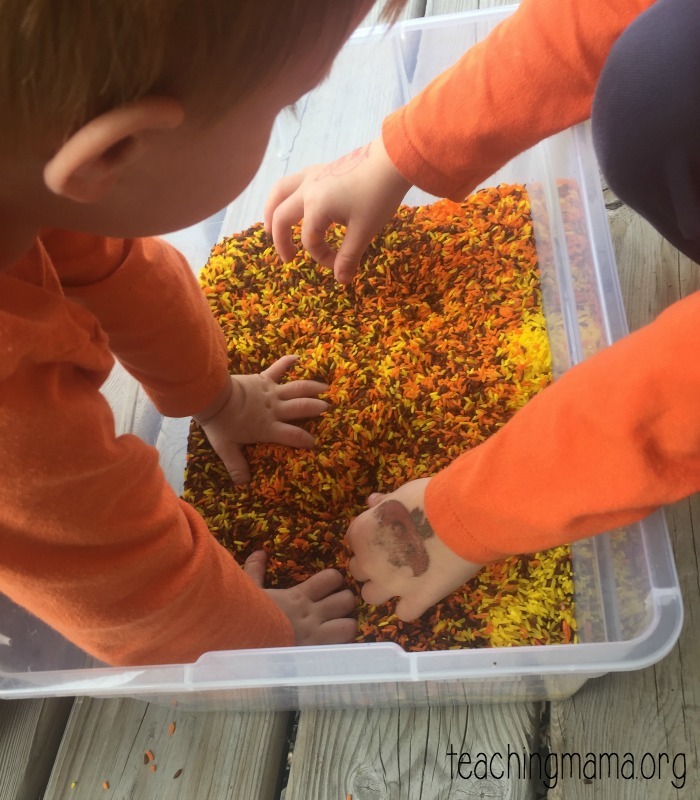 Children love to scoop up the rice in their hands or with scoopers. Some like to fill cups and then dump them back out. We put some elbow PVC pipes in our bin to watch the rice pour out of it. Let me know how you enjoyed playing with this bin! In what ages can the toddlers do these? What about the danger of the children putting this rice in their mouths? The food coloring doesn’t stain their hands? Wow! 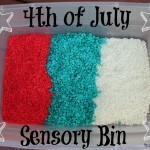 When we do sensory bins, in addition to rice, we use dried beans, peas, macaroni, etc. The kids love it.